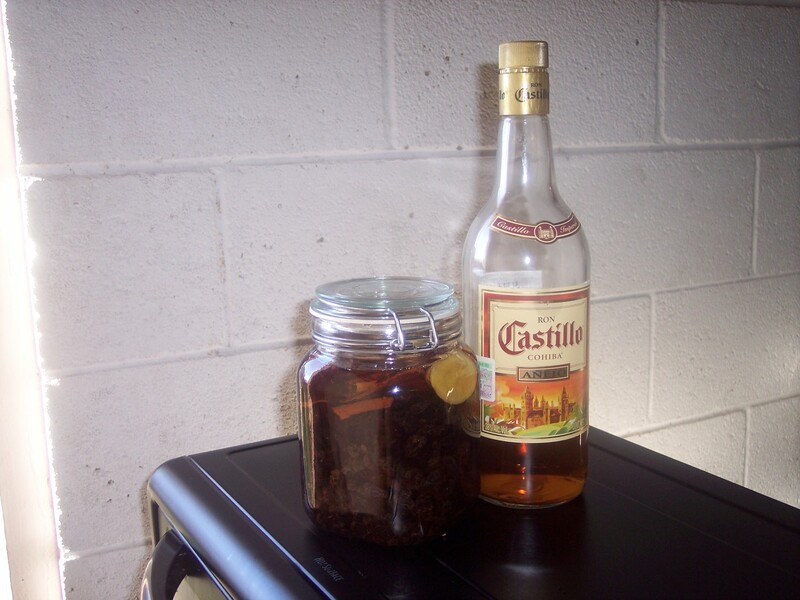 Its talk like a pirate day, which led me to rum, dark Mexican rum to be specific and from there to rum raisins. Currants and dried cherries were added to the mix along with whole spices, cloves, cinnamon, allspice, ginger and anise.. The other snap jar has leche de tigre in it from civiche.. but as soon as it’s empty, I have enough rum and raisins left to fill that one also.. the raisins and all should be good to go by December..
Too bad it won’t be ice cream weather on this side of the equator in December… and customs south of that same equator get kind of huffy about jars of hooched up fruit.. I needed a break from cooking critters and wanted to do something different, something that I wouldn’t have to finish off in three days.. I probably could have cheated and used a spiced rum like captain Morgan since its talk like a pirate day.. but $20+ vs $4 won the contest.